An otolaryngologist (or an Ear, Nose and Throat doctor) is a surgical medical subspecialist who treats conditions associated with the ear, nose, and throat and related structures of the head and neck. This is one of the most complex areas of the body as it affects your ability to breathe, eat, speak, hear and view the world. Inside your nose, there is a series of connected spaces that drain mucus into the nasal cavity. When these spaces swell they can become blocked and infected. Causes of a sinus infection include; the common cold, allergic rhinitis, or a deviated septum. Symptoms may include, facial pain and pressure, headaches, green or yellow nasal discharge, severe nasal congestion, and fatigue. Sinusitis will usually go away within a few days with rest, hydration and Vitamin C. However, when your symptoms last more than one week or suddenly worsen, chances are you have a bacterial sinus infection and it is time to see your doctor for antibiotics. The spaces inside of your nose have tiny openings and channels that connect to each other and to both sides of the nose. Sinus surgery widens the channels and removes most of the walls of these spaces which prevents your sinuses from obstructing and allows them to drain more freely. Having more open spaces prevents the pressure from building up in your nose and decreases the frequency and severity of your sinus infections. Sinus surgery also allows saline rinses and topical medications to better access the open areas inside of your sinuses. Rhinoplasty, or nose job, refers to the surgical reshaping of internal and external nasal structures either to restore breathing, alter appearance, or both. This may include changing the shape, width, angles of the nose, in addition to adding structural support to improve the nasal airway. The wall of bone and cartilage covered with moist soft tissue that divides the left and right side of your nose is the nasal septum. It starts in the front of your nose and divides your nostrils and continues until in the back into your nose it ends and the breathing passages join again. The nose normally will swell on one side and decongest on the other side (the nasal cycle) so it is normal for breathing to “flip back and forth” between sides of the nose. All nasal septums have bends in them. There is no such thing as a perfectly straight septum. A septum is termed “deviated” when it is crooked enough to block the breathing on one or both sides of the nose. If you don’t have trouble breathing then you don’t have a “deviated nasal septum”. It may be bent, but if that doesn’t bother you then you don’t need to do anything about it. The only way to physically make the septum more even inside your nose is with a surgical procedure called a septoplasty. The surgery you have will depend on where you have a deviation and where you have your obstruction. There are many reasons for a nose to be congested and blocked. One reason is lack of support on either side of the nose when you breathe inward. The “valves” should be strong and resist airflow when breathing in. 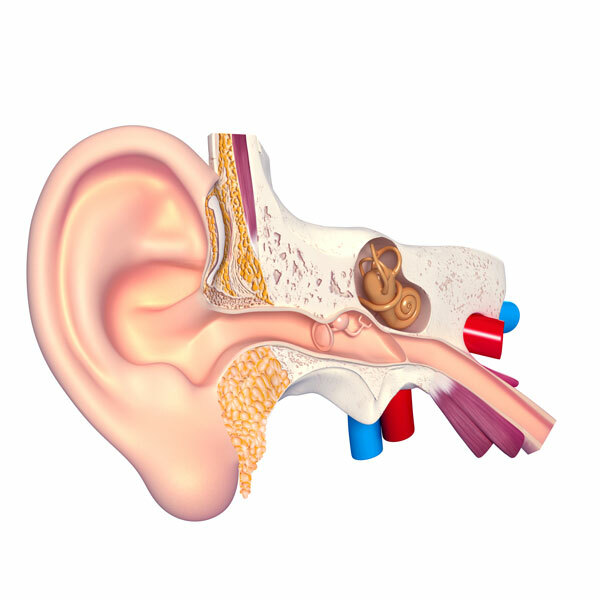 Weak cartilages can cause the one or both valves of the nose to collapse inward causing blockages and nasal congestion. Sometimes the blockages can be a combination of all of the above-mentioned problems. A thorough evaluation by a specialist is needed to determine the cause of the blockage and the best treatment options for nasal valve collapse. Thyroid cancer is an abnormal growth of thyroid gland tissue that usually arises from a pre-existing thyroid nodule. Like other organ systems, the thyroid may undergo certain changes at its DNA level that leads to the production of cancerous cells. There are two sides of the thyroid gland. Surgery of the thyroid lobe usually involves removing one or both sides of the thyroid lobe. This is highly dependent on the size and type of thyroid cancer you have. Surgery is usually performed in a hospital, and depending on the type of surgery, you may be able to go home the same day. Other times, you may have to spend 1-2 days in the hospital for observation. The intent of surgery is for a cure, and to remove all cancer. Thyroid surgery is performed for one of two reasons. The first is the presence of thyroid cancer. If your surgeon has detected cancer cells in your thyroid gland you may need part or all of your thyroid gland removed through surgery. Depending on the stage, size, and extent of cancer, you and your surgeon can come up with a specially tailored plan to fit your needs. The second reason is the presence of a thyroid nodule that is suspicious for cancer. These are nodules that have a high probability of being cancer, and therefore need to be removed for closer evaluation. This surgery usually only involves removing the part of the thyroid with the suspicious nodule and not the whole thing. the parathyroid glands are four little round glands that sit in the neck surrounding the thyroid gland. These glands are involved in regulating your body’s calcium levels through a hormone called parathyroid hormone (PTH). Parathyroid surgery involves removing one or all four of these glands in special cases in which your body makes too much calcium. Parathyroid surgery is most often performed in cases in which your body makes too much calcium. This is most commonly because of a small benign growth in one of the four glands, called a parathyroid adenoma. Parathyroid surgery involves removing benign growth. Sometimes, if you have a history of kidney problems, all four of your glands may be too active and cause an increase in your calcium levels. In this case, all four of the parathyroid glands are removed, with ½ of one reimplanted back in the body. This will help in also restoring your body’s calcium levels to normal levels. In exceedingly rare circumstances, parathyroid glands may develop a form of thyroid cancer requiring their removal. Any time the skin, muscle, bone or organs of the head and neck need to be repaired this is called “head and neck reconstruction”. This can be as simple as closing a cut on the head to a major surgery after a car accident. Such repairs are often required following cancer surgery, trauma, birth defects, or sometimes even for cosmetic purposes. The goal of such surgeries is to best recreate the appearance and function of the area as it would normally look and perform. There are many techniques that can be used to reconstruct the head and neck. These include moving the sides of the defect together (primary closure), transfer of tissue from near the area of repair (local flaps), moving skin or cartilage from another area to the area to be repaired (free grafting), and taking bone or muscle from another area with its veins and arteries and using this tissue to replace the structures that have been removed from the reconstruction site. Cancer is the abnormal growth of cells within the body. The behavior of these tumors are variable and are based on the cell origin (pathology), the location of origin, and other patient risk factors. These tumors can be benign with indolent courses, or they may be malignant and highly aggressive. Cancer of the head and neck is unique from other cancers. The head, neck, and face region is a complex region responsible for many of the basic human functions. Treatment of head and neck lesions, whether surgically or medically, may compromise an individual’s ability to speak, swallow, or breath, as well as potentially impacting their physical appearance. Due to the complexity of the region, and the variability in the different sites in which cancer occurs, it is important to understand the exact type of cancer. Before embarking on a treatment plan, the patient should be well versed in the impact it will have on function and quality of life. Often treatment requires the involvement of physical therapists, speech pathologists, dentists, and voice specialists to maximize patient outcomes and enhance the quality of life. Facial paralysis refers to the inability to move one’s face, usually as a result of nerve damage. It may affect one or both sides of the face, resulting in facial drooping, watery eyes, incomplete eye closure, or sagging of the brow and cheek. Facial paralysis is caused by damage to the nerves that allow for movement of the facial muscles. This damage can result from inflammation, tumors, infection, stroke, trauma, surgery, or underlying medical conditions and neurological disorders. In cases in which the exact mechanism of paralysis is unknown, the facial paralysis is referred to as a Bell’s Palsy. Depending on the exact cause and duration of paralysis different treatment options are available. The goals of treatment are to restore the smile, reduce vision impediments, and reduce disfigurement related to brow and cheek droop. There are two strategies used to restore and rehabilitate patients with facial paralysis- dynamic and static reanimation techniques. Dynamic techniques attempt to restore movement of the native facial muscles. Static reanimation techniques, however, attempt to restore form and appearance without restoring actual movement. Facial muscle reanimation treatment options depend on the exact cause and duration of paralysis. The goals of treatment are to restore the smile, reduce vision impediments, and reduce disfigurement related to brow and cheek droop. There are two strategies used to restore and rehabilitate patients with facial paralysis – dynamic and static reanimation techniques. Dynamic techniques attempt to restore movement of the native facial muscles. Static reanimation techniques, however, attempt to restore form and appearance without restoring actual movement. Treatment of CSF leaks depends on the underlying cause. For CSF leaks with identifiable causes, treatment of the underlying disorder may resolve the fluid leakage. For idiopathic CSF leaks, where there is no known cause, treatment options may include conservative and surgical methods. Surgery is often times reserved for those patients who have failed medical and conservative management. CSF leaks can be repaired through the use of cameras and telescopes through the nose. The nose and sinuses that surround the nasal cavity may in rare circumstances develop cancer. The nasal cavity is defined by the area within the nose, excluding the skin; whereas the sinuses are collectively known as the paranasal sinuses and include: the maxillary sinuses, ethmoid sinuses, sphenoid sinuses, and the frontal sinuses. The sinuses are air-filled pockets of bone that sometimes can harbor both malignant and benign tumors. Most often, growths within the nasal and paranasal sinuses are benign. However, the most common malignant tumor is squamous cell carcinoma, usually occurring in the maxillary sinus. 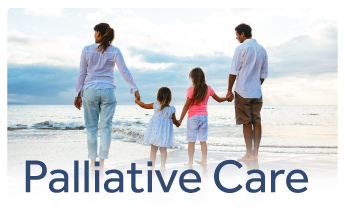 Depending on the site of disease, the clinical staging, and patient factors (co-morbid health conditions, patient preferences) a patient-specific treatment plan should be outlined. Tumors located within the maxillary sinus and nasal/ethmoid cavities may be managed differently. Furthermore, management of sinonasal malignancies further depends on the pathology, with different management protocols for squamous cell carcinoma, esthesioneuroblastoma, and mucosal melanoma. Broadly speaking there are 3 types of treatment that can be used in combination or separately depending on the type and stage of cancer. The decision to embark on a particular treatment plan should be made involving a multidisciplinary team of physicians (surgeons, radiation oncologists, and medical oncologists) and the patient.